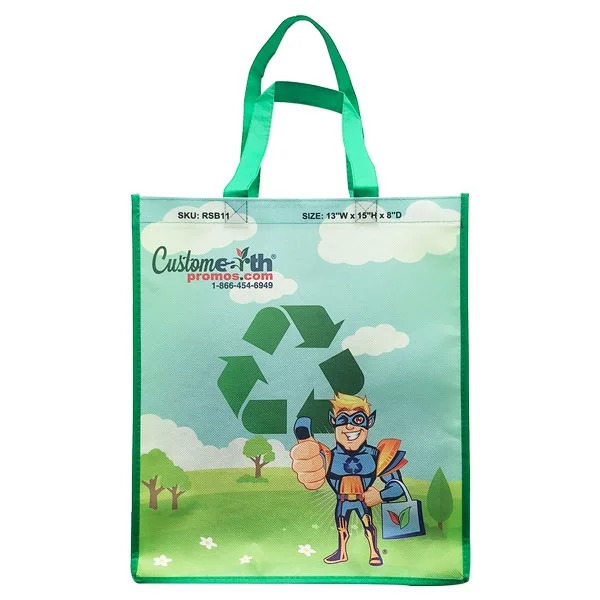 Are you in the market for a new way of eco-friendly promoting? 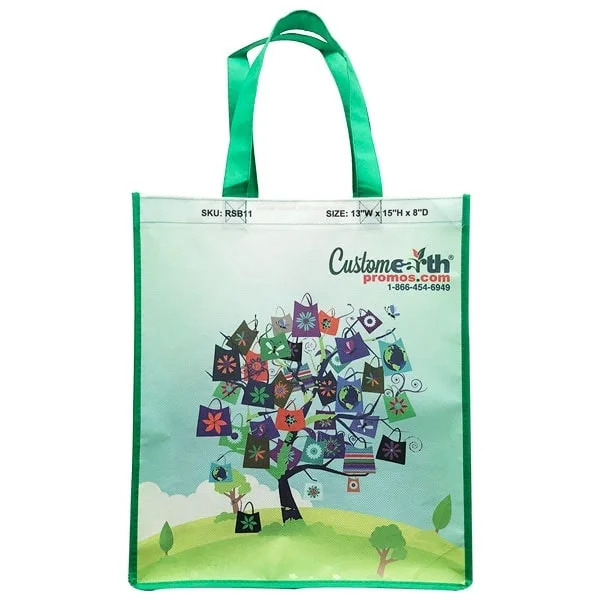 Choose our secure and fashionable Full Color Custom Sublimated Tote Bags to show off your brand! We’re known for our custom options that we make readily available to all of our clients. Add your business colors, along with your own personalized logo or design. The edge-to-edge coverage that we make accessible for you are what top off your unique end product! 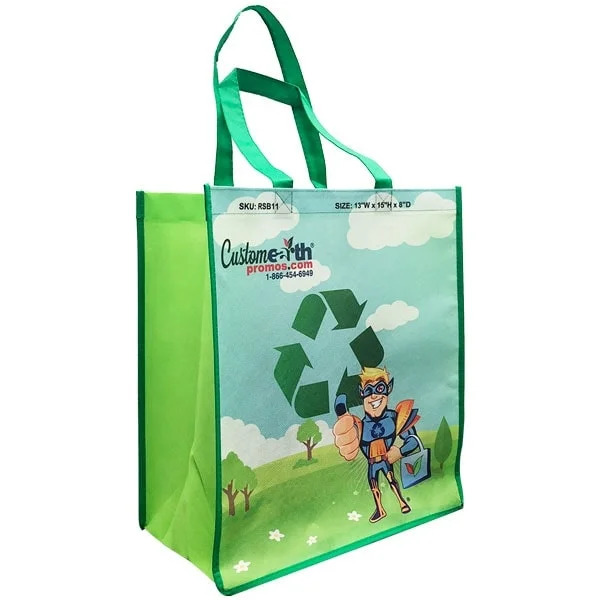 Made of 100% recycled materials, you can count on our PET totes to attract the clients you have been meaning to bring in: people who can relate to your brand statement and goals as much as you do! Expand using our marketing platform and you could see fast results in your returning customers. The full color 13” W x 15” H x 8” D area for your unique artwork is perfect for relaying your specific company message. You’ll be able to highlight the best parts of your company through our personal options! Get in touch with our sales team today to relay all of your design details. We’ll get you going on a quick and efficient production path, where you’re always up to date with your designing processes. 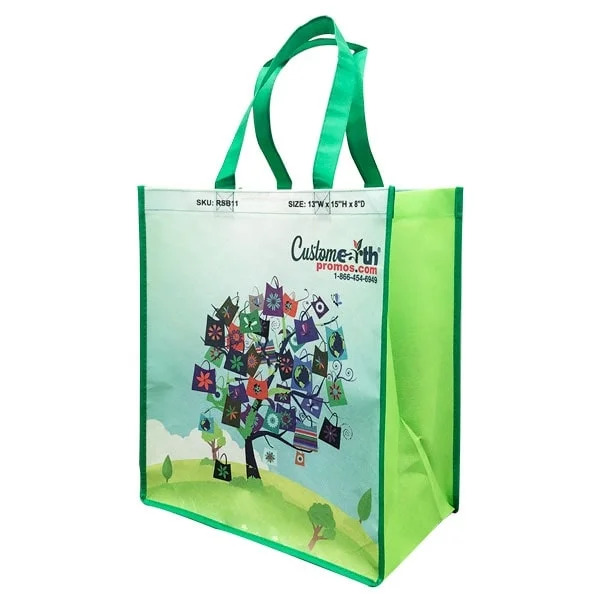 These low-cost, wholesale bags are perfect for reaching audiences spanning old and new customers. They’re great ways to quickly gain the attention of your target audiences. Make the most of our customizations and bring your personal brand flair to every take-home promo product your customers bring along with them! Let your newest tote bag reflect your brand integrity. Relay your personal message in any font or color, distinguishing yourself amongst your competitors. You can also opt for rush delivery services and have your products deliver as fast as you desire.